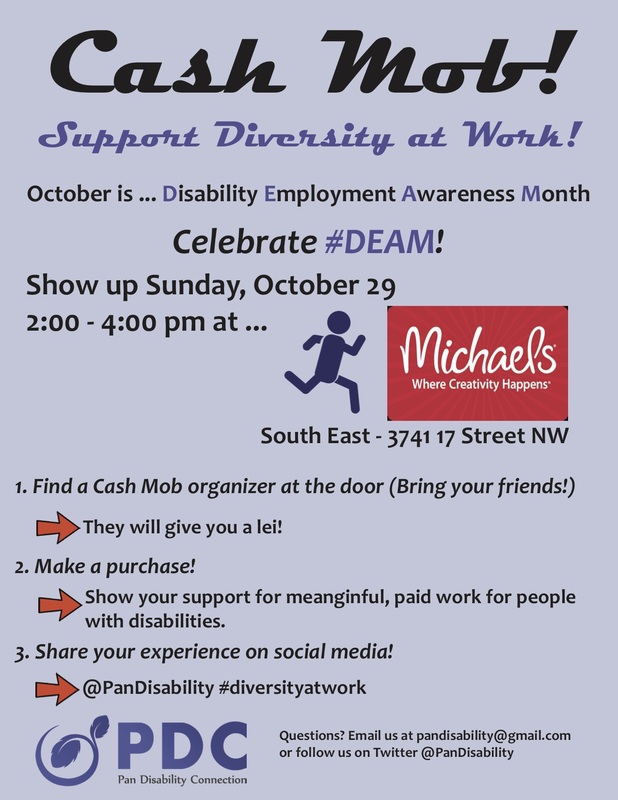 October 29th from 2:00-4:00pm at Michaels at 3741 – 17 St NW. Questions? contact us at pandisability@gmail.com or Tweet to us at @pandisability!